I've got a confession to make: as a former Windows power user, I miss a few Win games, which haven't been ported to the Linux platform yet. And I know for sure that some of them will never be ported, of course. However, there are several solutions that allow you and me to run even the most modern Windows games, such as World of Warcraft, on Linux. I will only focus on one of the solutions in this article, though, because it is 100% free and will work fine for most games. 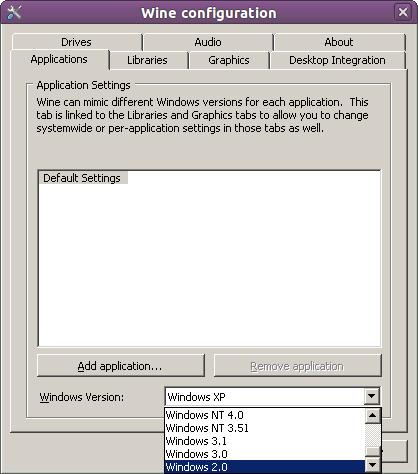 The application is so popular that it comes bundled with several Linux distributions. This explains why most times, you will be able to download a Wine package that has been built with the actual Linux distro you're using in mind. But since the full source code is available, you can easily build your own Wine flavor, in case that you're using a more obscure Linux distribution. So, will your favorite Windows games run fine on your favorite distro? That is a very good question! As a general rule, older games will work great, while some of the newest Windows titles may struggle, or fail to work. Fortunately, Wine keeps an up-to-date list of Windows games and applications that run under Linux without causing any troubles. Here's a link to it. To run your Windows games, you will need to transfer them to your computer. This means that you should mount them in a virtual CD drive, for example. Or, you can copy them to a hard drive partition. Then, run Wine using the Windows program installer's .exe name as a command line. If everything works as expected, the installation program will now start, and you will be able to install the game the way it worked from within Windows. Then, go to the folder where the game launcher executable was created and run it. That's all! Did you know that there are over 600 million Linux users in the world? The top three countries with the most users are the US, Brazil and Germany. Copyright GameTreeLinux.com. All Rights Reserved.